Mite 1, Mite 2 and U8 House all Kick off the season on Saturday October 27th! Check the calendar soon for specific times and rink locations. Mini Mites (NEW MITE SKATERS BOTH BOYS AND GIRLS) WILL START 11/11. The parent meeting will be held on 11/18 at 11:45 am in the dance hall during practice. We will be handing out jerseys and socks at the parent meeting. Parent Meetings- we will be having our Mite 3/U8 Travel and house Parent Meetings on October 28th and all other level Parent Meetings November 4th. Times and more information will be sent out once the plans are solidified.. The meetings will be while your player is on the ice for practice. Please try to have one parent attend these meetings. We also hope to have jersey handout that day as well. If you are interested in being a team manager, please email murphy_kris@yahoo.com. Having managers on hand for jersey handout is a HUGE help to us. Team managers do get 5 dibs hours. When do my players have games? That is a frequently asked question. The answer is that a part of the ADM development model includes a "game" aspect in each practice. The "game" may not be in the form of traditional hockey, but they are still enjoying the fun of a "game" in one or more of the stations during every practice! At this age, the emphasis is on skill development, and more importantly having FUN, rather than creating a "game" environment. However, we also know its important and exciting for the kids to have "game days". For Mini Mite, Mite 1, U8 House and Mite 2, we will have Pond Hockey Game Days one day per month. Those will be highlighted on the schedule as POND HOCKEY DAY. This is the day to invite the grandparents, family and friends to come watch your mite play hockey! For more information about the Mite Program, and answers to many of the Frequently Asked Questions please check out this link. ACYHA is proud to offer a free equipment rental program to our Mite players. We offer this to all first year players and as many returning mite players as equipment supplies allow. Please click the link for more information! What is next after mites? All players who are born on or before July 1, 2009 must make the move to Travel Hockey at the Squirt/U10 Level. We had an end of year info session on what to expect as you make the transition. If you were not able to attend we have the info handout sheet from the meeting attached below. As the next season starts in the Fall, 2018 look for emails about Pre-Evaluation Camps to start in late September and Evaluations to occur in early October. Joining our Mite Program Is Easy! This year we are excited to announce that we have reduced our volunteer requirements for new families to five hours throughout the entire season! Our Mini-Mite program is only $50 for the entire season and we offer a free equipment rental program! (Please note if your player is 7 or older you will also be required to pay $50 to USA hockey at the time of registration). Trying hockey could NOT be easier! Please click on the F.A.Q. for more information or contact the coordinators listed below! Welcome to ACYHA! It is never too late to register for our Mite program! Even though practices are starting in October, we will continue to accept new players until December 25th! 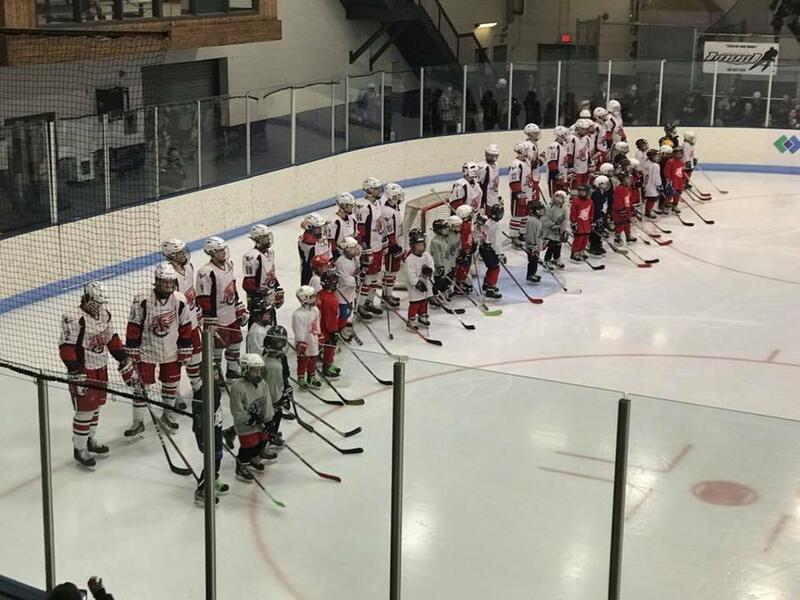 Below is a video created by Minnesota Hockey on the fundamentals of building a Mite program. This video was produced in 2007 and highlights a few key elements that are still used today in our ACYHA Mite program. Many of the kids shown in the video are still particpating in Mite, Squirt, and U10 level.